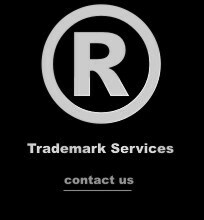 Help with trademark filing, application, registration with or without a trademark Attorney. time to cover with you. much more than on law. (so they rely only on law). If I don't know I learn. My writing is clear, concise. I help by email worldwide. I prefer all in writing, documented for review. Rob Cummings, Trademark Consultant - Not an Attorney, a trademark and business problem solver. Trademarks and Service Marks - filing, application, registration, and how to avoid trademark problems. * (the description never should be boilerplate). never obtaining a trademark registration - the circle ® - at all.
! Like a driver's license/passport application, your original trademark application must be absolutely true and correct in every way. Contact me before you apply and avoid many potential problems - best way - or contact me after you apply for trademark to try and resolve trademark problems. Some problems resulting from errors in the original trademark application cannot be corrected - especially in the goods and services you describe. The description of goods and services may later be limited, yet never broadened in scope. The initial description in your trademark application is critically important. Many need someone like Rob with a combination of legal experience with trademarks specifically, and experience in marketing and business. No and maybe. You can file a trademark application without an Attorney. However, if you plan to file a trademark application without an Attorney, you should at least get some good advice on trademarks and making the proper trademark application from a trademark consultant and advisor. See the short version of trademark help, then come back. Simple to apply online, it is nearly impossible for you to know the intricacies and potential pitfalls and problems of filing an effective trademark application. I am not an Attorney, though I help avoid trademark problems as an experienced and professional trademark consultant and advisor. A qualified Trademark Attorney may have the specialized knowledge of trademark rules, concepts, procedures - which is crucial - yet may or may not understand branding, publicity, marketing. promotion, advertising, and how business works. That's where I fit in - between you and the trademark office, or between you and your attorney or firm or counsel and the trademark office - as an advisor. The best Attorney may not know your business or industry or have time to learn it, may not know all that is required for your trademark to succeed - or may have been tied to a parameters for application without budget for research and analysis. I help avoid large and small trademark problems and mistakes. I think like a trademark attorney, and like a business person. I have had experience with trademark cases (my own and others that followed) - yet combine that with business concepts that attorneys are often not completely familiar with - or may overlook - or may not have time to consider. I reduce risk, and help build stronger brand and trademarks - with you. Though I never suggest that anyone dismiss legal counsel, I do recommend that clients have me review applications, assess options, report findings, and explain contingencies. Thinking like a trademark attorney, I help others understand how to think like a trademark examiner or trademark attorney. This improves outcomes, and reduces risks and delays. Thinking like a business man, and aware of current events, I resolve and uncover issues and aspects that could present risk and future liability, even if your mark is successfully prosecuted to registration - not an easy feat - and receives the ®. Note: A 'TM' means 'maybe' or might be. The circle ® means you own a registered mark. I help reduce the fees (sometimes eliminating them) while going into more depth than many trademark attorneys have the time to cover - or even mention. Trademark issues and problems are not well understood by many typical Attorneys unless they specialize in intellectual property, trademark law, and often contract and business law. Even the most qualified of trademark attorneys may not have the time to explore and explain trademark issues as I do. ...the cost to overcome the trademark problem can put your business at risk, and cost tens of thousands of dollars. The majority of trademark problems I've seen recently stem from the initial trademark application. You may save in filing an application entirely on your own, yet, later, months or years later, could easily face issues you cannot overcome - or determine how to. Qualified trademark attorney fees typically range from about $500/hour to $1000/hour, with typical retainers ranging from around $5,000 - $10,000 and more. Though I am not an Attorney, I fit in somewhere in between, acting as a trademark consultant with business sense - providing research, analysis, advice and recommendations - to avoid problems. As a trademark consultant and advisor, I help reduce costs, avoid and/or overcome trademark problems. It is best to have me help early, before you apply for a trademark, if possible. The trademark office cannot be sympathetic to non-lawyers, therefore, with or without an Attorney, you will be treated as if you are a trademark Attorney. I can help after you file the trademark application, though all options may not be available since you are not allowed to broaden the scope of a trademark application - and an application made improperly will not proceed to registration. Have questions about trademark filing, application, and about registering a trademark or service mark? Avoid a trademark problem. Contact me now. How to avoid having a trademark problem from the initial application. The U.S. Patent and Trademark Office now makes it easy to file trademarks and service marks online, however, if you plan on filing a trademark application on your own, I highly recommend that you get in touch with me first. The online application form provided by the USPTO makes applying for a trademark seem easy, however, it is designed for those who understand trademark law - even though it is available to the public. Even if you have already filed a trademark application and the application has not yet been examined, you may want me to review the application and the description of goods and services. You can amend a trademark application prior to examination and may wish to. Your trade mark or service mark application becomes the foundation for the lengthy and complex process that follows. Errors you make in the initial trademark application can create problems, delays, and in many instances, the need to abandon your trademark application. The search function at the USPTO is helpful, yet, just because you do not find your exact same mark, this does not mean that your mark is clear or that it will be allowed to proceed to registration. In addition, the description of goods and services is critical. An applied for mark where the words sound the same or could be interpreted to mean the same as a registered mark, along with many other factors, could cause the USPTO to issue a refusal. If your application is refused, this means that you will not be able to proceed to trademark registration unless you can resolve the issues of the Trademark Examiner in the refusal. This could also trigger an opposition that can be very costly, and in many cases, unnecessary. The TM, SM, and the R in the circle ® . You can and probably want to use the trademark symbol (TM), or service mark symbol (SM) to alert the public to your claim on the design and/or word mark. After your trademark is registered, you can use the ® symbol, not before. It is against the law to use the ® symbol unless you have received the official trademark registration certificate (which typically takes a few years). A trademark application begins the process towards a trademark registration, however, an application is not a registration. Expediting the lengthy trademark registration process. To more or less assure yourself that your trademark may proceed from application to registration as quickly as possible, you must consider many factors. Note: The factors you need to consider are not made clear in the online form. The process of obtaining a trademark normally takes over a year, and in many cases longer. It is typically six months from the time you make your trademark application to the time that a trademark examiner reviews your application for the first time. After that, many steps follow - and many have six month windows. The fewer errors you make in your trademark application, the faster and easier your trademark application should proceed to registration. How I can help you file a trademark, or help you and your attorney. I am not a trademark Attorney, however, with my broad experience in business, and experience with my own case (and others that followed since then that I have helped handle for clients), I can help you avoid costly trademark errors, opposition, non-final and final office actions, and other delays in the application - as well as help you avoid being refused a trademark registration. I can answer many of your questions relating to trademark application, trademark registration, trademark law, and the process of obtaining a trademark registration - whether or not you have a trademark attorney involved. You may choose to take my advice and then have a trademark attorney review it. Having me involved will likely save you time and money. I will never discourage you from getting the advice of any attorney, however, I am not sure I would have won my own case, had I not thought differently and had I not approached the situation the way I did. Also, in my own case, I doubt I could have afforded to win if I needed to have an attorney handle it. Take good care in the writing of the description of goods and services. The identification of goods and services is very important and needs to be written with some knowledge of trademarks and trademark law along with knowledge of business. A true, accurate, and carefully worded identification or description of goods and services (or G & S) is critical to enabling a trademark registration to provide the greatest protection - which is why you want a trademark registration. It is also critical to getting past all the hurdles of the trademark registration process, including initial examination. The identification of goods is what you will use to prove another has infringed on your rights (once your mark is registered), and every word in the description must be very specific and definitive, and not subject to interpretation. If your trademark application is an ITU (intent to use), you will ultimately need to file a specimen and Statement of Use based on the exact use you described in your identification of goods and services. A weak description of goods and services (G & S) can make your trademark difficult to defend, could cause an unnecessary opposition or cancellation proceeding. On the other hand, a description that is overly broad or misleading can cause problems as well. I can help you with the proper wording of the G & S and determine the best class for your goods and services. I can help you determine the filing basis - whether to make your trademark application as a 1A (Using the mark in commerce on or in connection with the identified goods and/or services), or 1B (Intent to Use as of the filing date of the application). I can also help you create the specimen required for a 1A filing, establish the date of first use anywhere, as well as the date of first use in commerce. Dates are very important. I can also help in many other aspects relating to trademark law and how to properly use your trademark as a 'mark' to avoid other trademark issues and problems. If you have previously made a trademark application on your own, you may at least want me to take a look and possibly help amend the identification of goods before the trademark examiner reviews the application. Your description of goods and services may cross classes of goods and services and require you to pay the fees (around $335 per class) for multiple classes, even though all you may need is a single class. You may later limit your description, however, you may not later broaden your identification of goods and services. The description is your protection. If the description is inadequate, your rights are diminished. You will need to prove use exactly as described in your identification of goods and services to obtain a trademark registration. This is one of the last steps that typically occurs a year or more after application. Failure to be able to prove the exact use in the description can further diminish rights and/or result in abandonment of your application and no trademark. Many non-final office actions and final refusals stem from improperly written descriptions of goods and services. You will learn of these many months to years later, delaying your application and jeopardizing your registration. I can also help with naming strategies to avoid trademark problems. Rob Cummings, Trademark Consultant - Not an Attorney, a trademark problem solver. Contact me for help with trademarks, service marks and branding. "I have spent thousands upon thousands with attorneys, and the money spent with you was well worth it!" "I ran this by a trademark attorney who agreed with your assessments. He said you seem to have a good grasp of these matters ;)"
things from different angles helps a lot." "Your Opposition is brilliant. I appreciate the whole thought process, the way you grasped the problem, and how you distilled the allegations to the simple truthful essence. I feel very confident in filing it, and thank you so much." Thank you for visiting, hope this helps.